Search Engine Optimization (SEO) can be one of the most important features that your website can have. This feature encompassed the technical requirements needed to improve your website’s rankings, drive organic traffic, and increase awareness in search engines. liveBooks is proud to boast that our built-in SEO tool offers our clients the ability to customize their SEO settings on a photo, page, and site-wide level. Additionally, all liveBooks8 sites automatically include micro date that search engines, web crawlers, and browsers can extract and process to provide a richer browsing experience for users. Learn how to start utilizing our SEO Everything™ tools with our quick tutorial below. Introducing New Templates for liveBooks 8! We are so excited to announce the release of eight brand new templates. At liveBooks, our goal is to give you the best possible jumping point for a custom website and after months of gaining your feedback, brainstorming, and designing, we are excited to announce that we have released redesigned templates for our liveBooks 8 platform. With new, customizable features, we hope that our platform gives you an outstanding place to share your portfolio and services with the world. Check out a brief description of the key features on each template below to decide which one will work best for your site. Keep in mind that each template is just a jumping point and customizing your site is easy using the liveBooks 8 designer. To choose your template and start your free trial, click here! Not on liveBooks 8 yet and ready to make the switch with one of our new templates? Now is the perfect time to make the switch from Flash to HTML5. Click here to learn more about the migration process and then schedule your website migration today! 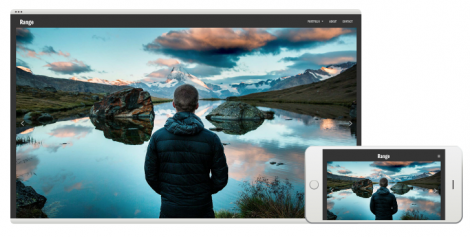 Share stunning, embedded video modules on your homepage with our Aperture template. This video website template allows you to easily share your best motion work with minimal content on the page. With a sleek design and bottom navigation, this full-bleed video site is sure to highlight your best live-action work. Easily link social media icons to your bottom navigation to allow clients to access anywhere else you may share your work. Additionally, this template comes with a variety of portfolio designs, allowing you to pick your favorite option. 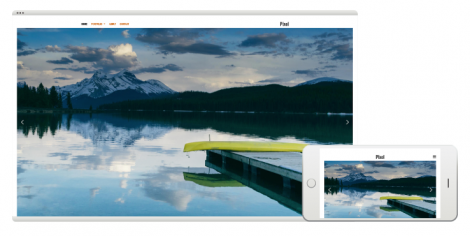 If you are a videographer, you are definitely going to want to check out Aperture! Our Panorama template has a sleek and modern design that is perfect for design-oriented creatives. The bold homepage slideshow allows clients to focus on your work from the start, while the minimalist bottom navigation guides them to your portfolio and contact information in an unobtrusive way. Social media is easily integrated into your navigation menu in the Panorama template. Additionally, the clean contact page focuses on what is most important: driving you more business. The stylish and playful design of our Blowout template is perfect for those hoping to showcase both images and services on their website’s homepage. The updated stacked layout allows you to showcase the most important details for your clients. Additionally, each service block links out to its own individual page, allowing clients to explore and learn more about you and your services. Top navigation allows clients to easily roam around your site, while keeping a stylish and cohesive design. This template is perfect for business owners who want to engage clients with a mixture of images and text content! Our shutter design is sure to give your site a refreshing, new look. 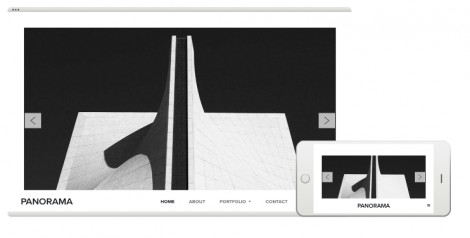 This website template allows you to showcase portfolios directly on the homepage. Link to your individual portfolio pages, using bold and eye-catching leading images. Additionally, the prominent logo and top navigation brings attention to your personal brand. Calling all creatives! Shutter is the template for you. The bold design of our Speedlight template will really highlight your best images. The homepage design allows for a mixture of both images and content, with a full-bleed slideshow to catch a potential client’s eye. Portfolios are accessed through an entry page with thumbnails. 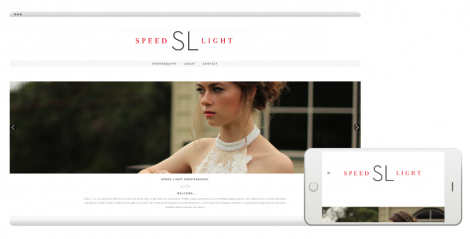 Our Speedlight template is perfect for creatives hoping to display large photos that have a story to tell. Large text blocks throughout, which is great for SEO! Our filter template highlights the best elements of our 10+ years of custom design work. 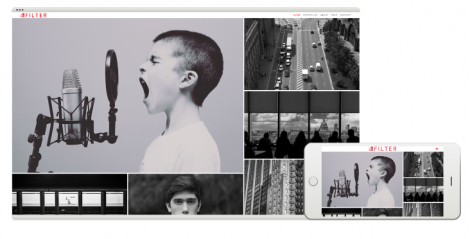 With a unique and memorable layout that showcases images on the homepage, portfolios are able to be linked and embedded to capture your clients’ attention. This website template’s unique team page will allow you to introduce your team and personality to clients in one easy view. Filter is a great choice for larger businesses and those who wish to covey a high-end and aspirational brand image. 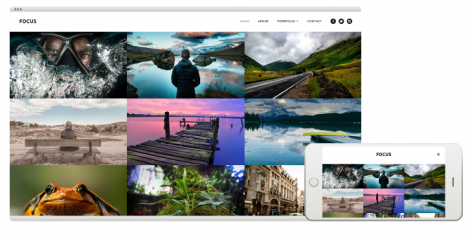 This photo-centric website template is sure to leave an impression on your audience. 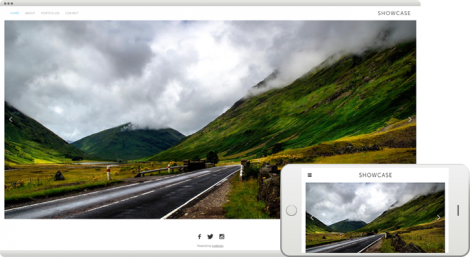 Our Range template has a clean site design with minimal text content, allowing you to showcase your best images with no distractions. This simple website is great for photographers who are looking for a website with a consistent appearance across all devices. Easily get your new site up and running in no time with Range–it has been a top starting point amongst many of our clients! Our Pixel template has a classic design that allows for a great visual impact on your clients. The top anchored menu places your logo on the right and allows for quick navigation with minimal distractions. With a full-bleed homepage slideshow and a clean contact page, the Pixel template is sure to draw attention to the most important aspects of your portfolio. 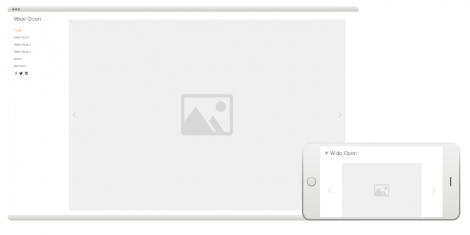 Our Frame template is inspired by galleries and is built to make your best work stand out. A homepage slideshow allows clients to immediately gravitate towards your work. The left rail navigation and subtle frame around your content create a clean and geometric feel for your website. 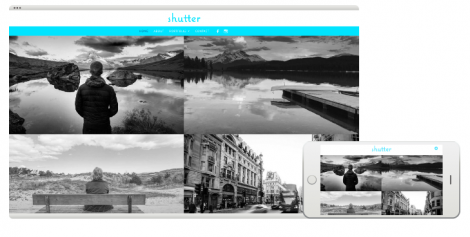 The pre-built portfolio entry page allows for easy and structured navigation. You are sure to make an immediate impression with this modern yet minimalistic website template. Our Focus template features a full width grid gallery on the homepage that is complimented by several portfolio design options, easily accessed via drop-down navigation. Additionally, a built in about page allows you to tell your personal story in a visually engaging way. 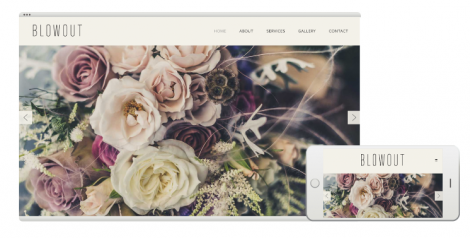 Our Showcase template is built for big, bold images. As one of our most popular templates, a full-bleed homepage slideshow is sure to immediately grab the attention of your clients, while the portfolio landing page allows you to easily introduce the unique details of your work. Showcase is a great starting point for any creative’s website! Our White Balance template is a great jumping point for those looking for a content-light start. This clean design features a scaled slideshow on the homepage in addition to several portfolio options. This website is the perfect template if you are looking to get online fast–simply upload your own content and go! Our Wide Open template is another great starting point, if you are hoping to get online as soon as possible! This clean design displays your portfolio pages through a left-anchored navigation while a slideshow on your homepage works to grab the attention of your clients. Additionally, clients can easily learn more about your business with the pre-built About and Contact pages. 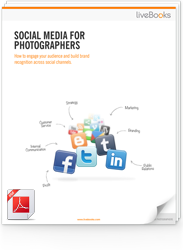 Just like in White Balance, upload your content and publish! Now is the perfect time to make the switch from Flash to HTML5. Click here to learn more about the migration process and then schedule your website migration today!